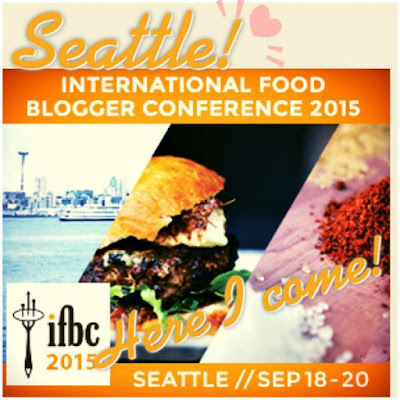 This coming weekend is IFBC15 (International Food Bloggers Conference), and I am uber excited to be attending this year! It is being held in Seattle, which is just about an hour from where I live, so I am going to spoil myself by getting a room at the hotel. It will be a mini educational vacation, plus an opportunity for me to meet many of the bloggers that I have only know via computer. That is a win/win for me and I just can't wait!! What Do You Do After You Hit Publish? Led by social media experts Lorraine Goldberg(Allrecipes.com) and Rebecca Coleman (British Columbia Institute of Technology & Cooking By Laptop). Writing, Food Photography and Prop Styling. Join Andie Mitchell (Can You Stay For Dinner and The New York Times best-selling author), Aran Goyoaga(Cannelle et Vanille, author, food photographer, food stylist),and Jenn Elliott Blake (A Blog Named Scout and prop stylist). The Plan and The Pitch. Hosted by Tara Austen Weaver, author and editor of Edible Seattle, and writer Naomi Tomky, this session is a game changer for anyone wanting to advance their career in food writing. Food Trends: How to Identify and Use Them To Your Blog’s Advantage. Join Flavor & The Menu‘s managing editor, Katie Ayoub, andJudith Dern from Allrecipes.com as they teach us how to discover these trends and capitalize on them. 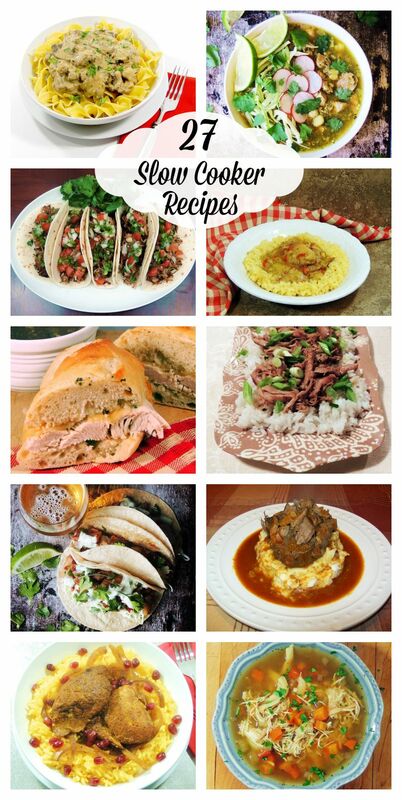 Now, what does IFBC and slow cooker meals have to do with each other? I spent 4 days in Sacramento on business last week, and Kevin was like a lost puppy. He had no idea what to do with himself, or what to eat. I mean you can only eat steak so many days in a row right? Unfortunately if it isn't grilled, he isn't too sure how to make it. So needless to say he had a lot of hot dogs, and mac and cheese too. This time I have planned ahead by making a few of these slow cooker recipes and freezing them in single servings. That way all he has to do is pull out a bag, heat it up, and WALA it is just like I am here cooking for him right? Hopefully he will get to the "Honey-Do" list while I am gone!! Haha I may have to do that! !